George H. Walker was one of three prominent nineteenth-century founders of Milwaukee, along with Solomon Juneau and Byron Kilbourn. Born on October 22, 1811 in Lynchburg, Virginia, Walker first moved westward as a young teenager when he migrated to Gallatin, Illinois with his family. Then, in early 1834 he headed for Milwaukee and settled on open land south of the Milwaukee River, where he commenced operations as an Indian trader. His cabin and a crude commercial structure, located near the site of today’s Water Street Bridge, established what would become the Walker’s Point neighborhood of Milwaukee. Believing that a trading post closer to the river’s mouth would prove more lucrative than the sites chosen by his competitors, Walker took on the role of townsite developer enthusiastically. He, like Juneau and Kilbourn, had grand visions for the city as a major metropolis and commercial center. A jovial man, at one point Walker may have weighed as much as 350 pounds. Nonetheless, he was known to be a skillful dancer and graceful on ice skates. Often seen as a “distant third” in terms of importance among the city founders, Walker was younger than Juneau and Kilbourn, and lacked the political connections and access to capital available to these rivals. His humorous ways also led him at times to be less serious in business dealings. Walker encountered setbacks during his first years in Milwaukee. Having failed to finalize his original land grant, he lost Walker’s Point to a “floating” claim in 1835, barely a year after his arrival. By the time he reacquired full title in the 1840s, Walker’s finances were severely damaged. Despite this slow start, Walker ultimately became a prominent citizen, politician, and financier. He was chosen as one of twenty-four town supervisors in 1835 and served as a Democrat in the lower house of the territorial legislature from 1842 to 1845. 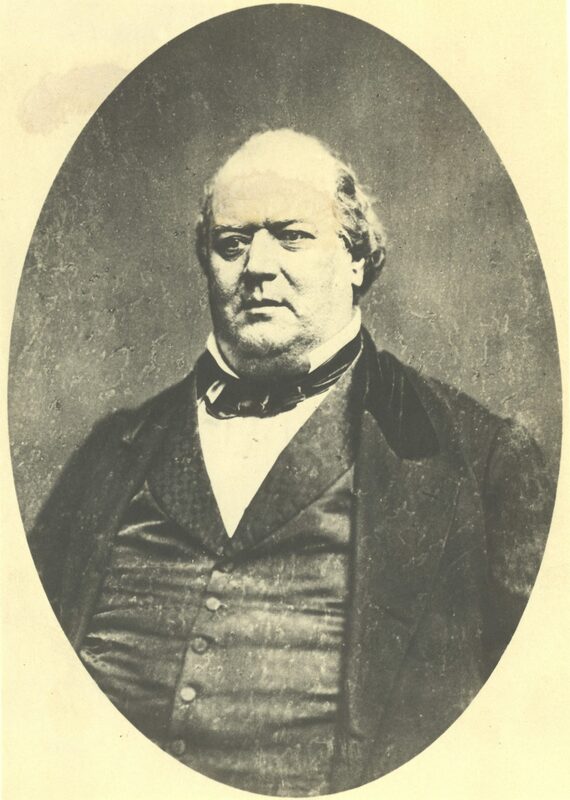 In addition Walker was register of the Milwaukee Land Office (1845-1849), a state assemblyman in 1851, and two-term mayor of Milwaukee (1851 and 1853). A lifelong advocate for Milwaukee and devoted to its growth, Walker supported charter changes to limit city taxes and to curb excessive municipal spending, joined a “sack” company to combat fires, and petitioned the city council for a passenger railway to run in and around the downtown wards. He also advocated for construction of a roadway between Milwaukee and Waukesha while promoting several Wisconsin railroads during the 1850s. While mayor, Walker argued for a ferry service across Lake Michigan, claiming it would create a trade network that would allow Milwaukee to compete with Chicago. Staunchly anti-Confederate during the Civil War despite his Virginia roots, Walker was involved in the creation of the Milwaukee Soldier’s Home and fought tirelessly to make Milwaukee one of a handful of locations to host a “national asylum” for disabled soldiers, an ambition that was eventually realized in 1867. It was while campaigning for this cause that he died, after a trip to Washington, D.C., in September 1866. ^ Dictionary of Wisconsin Biography (Madison, WI: The State Historical Society of Wisconsin, 1960), s.v. “Walker, George H.;” John Gurda, The Making of Milwaukee (Milwaukee: The Milwaukee County Historical Society, 1999), 37. ^ Gurda, Making of Milwaukee, 37. ^ Gurda, Making of Milwaukee, 37-38, 49; Bayrd Still, Milwaukee: The History of a City (Madison: The State Historical Society of Wisconsin, 1948), 34; Dictionary of Wisconsin Biography, 364. ^ Still, Milwaukee, 140, 234, 248-249. ^ Still, Milwaukee, 50, 171; Gurda, Making of Milwaukee, 86-87. ^ Gurda, Making of Milwaukee, 96, 98. Dictionary of Wisconsin Biography. Madison, WI: The State Historical Society of Wisconsin, 1960. Still, Bayrd. Milwaukee: History of a City. Madison: The State Historical Society of Wisconsin, 1948.